Tenacity is Axiom’s understable bomber from the new high-speed 23mm distance class. With proper form the Tenacity easily qualifies as “sneaky long”. Tenacity is best compared to a worn MVP Catalyst, and features the familiar evenly domed top to promote distance-covering glide. 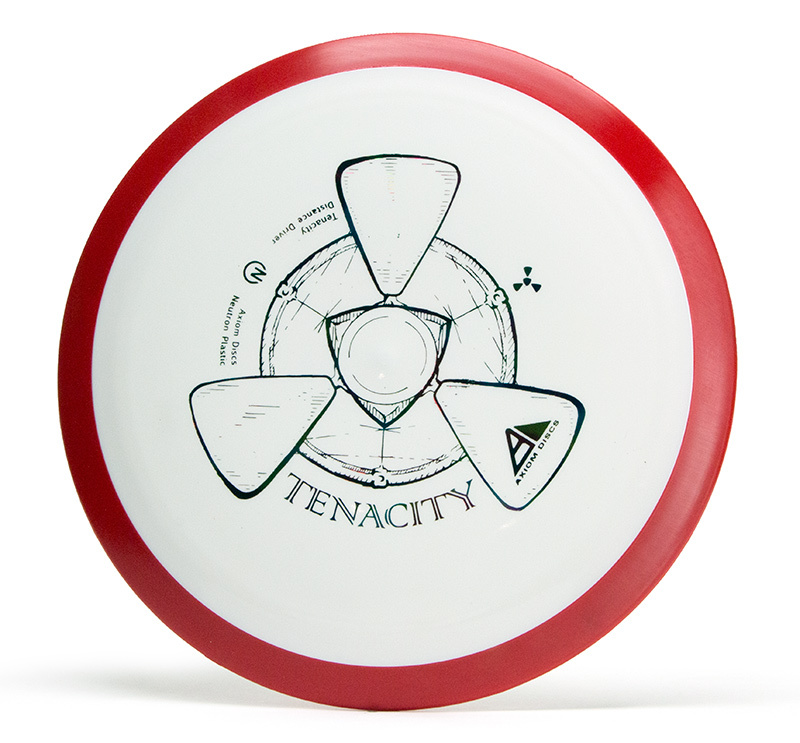 This disc is available in Neutron @ $16.